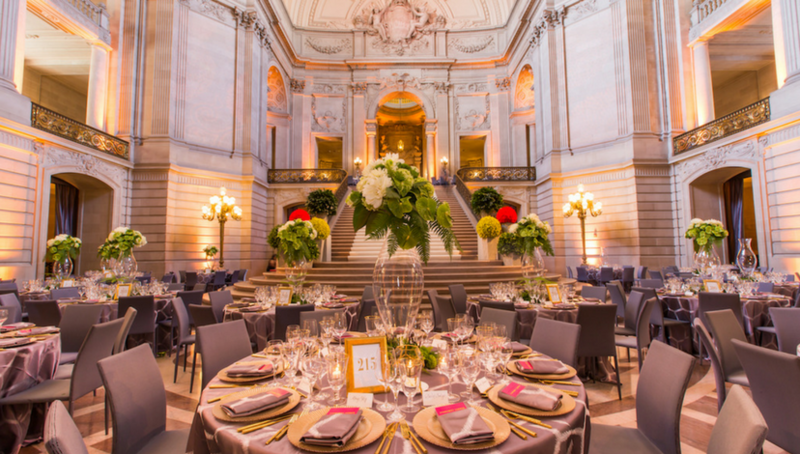 Every event should offer something fresh in design and presentation, and the San Francisco Symphony Gala achieved this – in spades. The event took place in nine separate venues, and hosted 2,000 guests – an impressive accomplishment by the professional design team at Blueprint Studios. 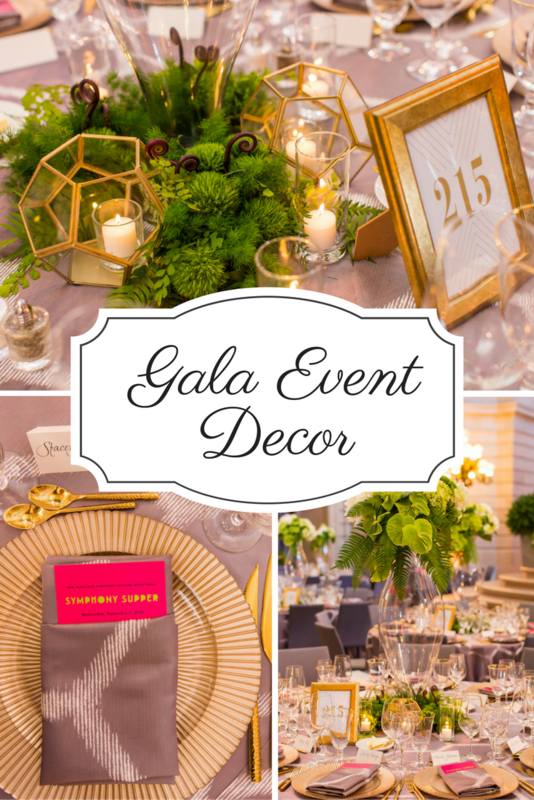 Each venue reflected the underlying theme, but was separately designed for the specific space. The design concept involved using colors and patterns to create a contemporary rhythm of geometric shapes and patterns, enhanced by brilliant metals and bold mineral hues. 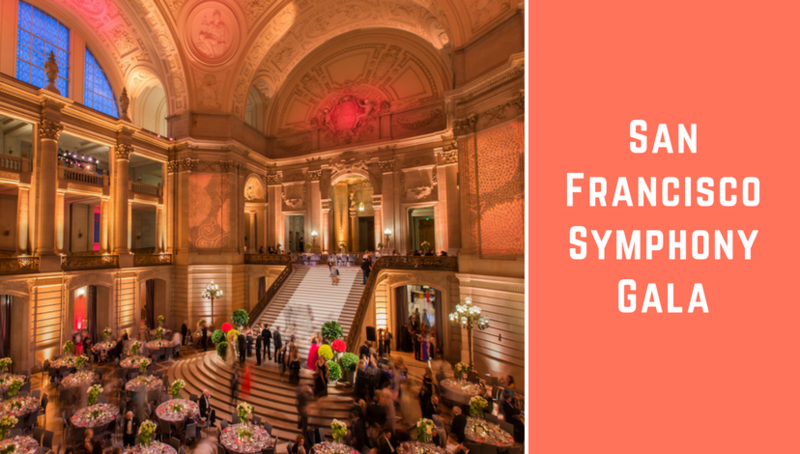 Symphony patrons were treated to a custom-created tent venue, with a design inspired by the subtle chromatics and shapes of the Art Nouveau Revival movement. The venue was resplendent, featuring dramatic design elements, including a massive chandelier and marble pedestals. 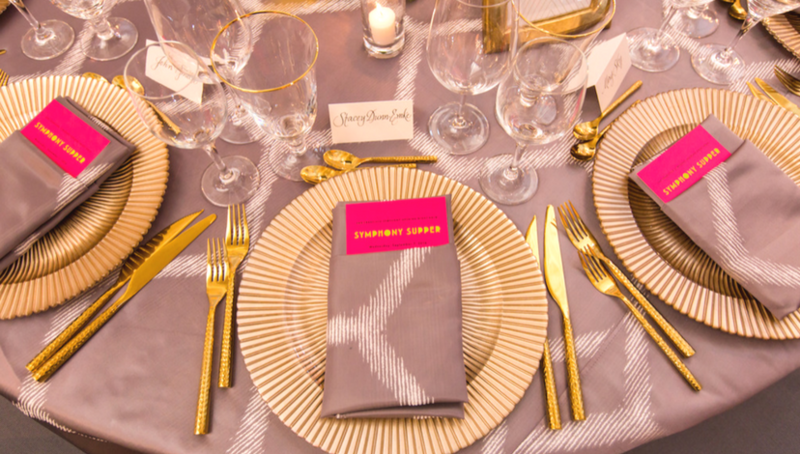 Tables were draped in elegant ombre linens from BBJ, woven with metallic flecks, transitioning through platinum silver, to gold, to black. Floral designs echoed the gleam of the metallics in the linens, featuring unique geometric details. 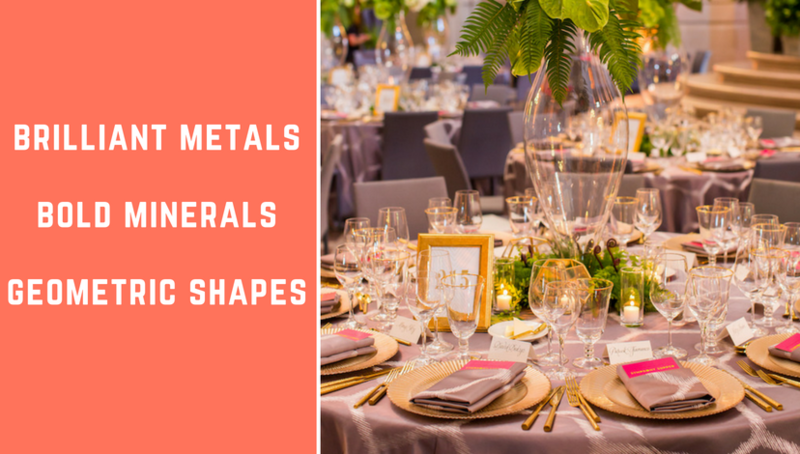 Take an elegant event to a new level with table linens that feature metallic flecks and designs, creating a look that is rich, with a subtle shimmer for an exceptionally appealing presentation. City Hall has an iconic rotunda built in 1915, where the Supper Gala was created with a clean, contemporary design, contrasting and enhancing the beauty of the stunning venue. The concept was a mesh between elegant chic and contemporary urban, creating a dramatic, breathtaking atmosphere. 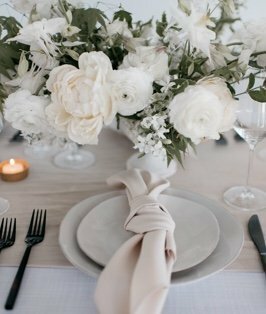 Varying grey tones in the table linen added an edgy, modern vibe to the tables. The lush green florals and glass hurricane vessels brought an urbane sophistication to this classic space. Bring together classic and edgy, with urban modern elements matched with more traditional pieces to create a look that is truly memorable, for events large or small. 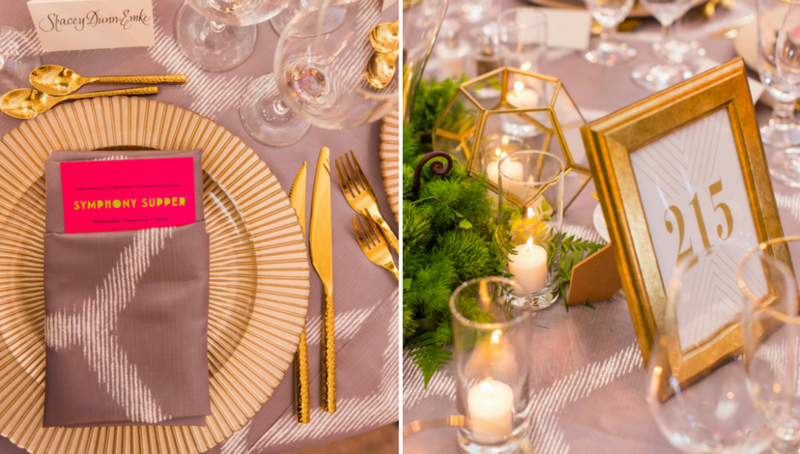 The Blueprint team took design over the top by pairing contemporary table linens, combining genres, and presenting a strong underlying theme for the ultimate in elegance.